Don’t fret about it, you’re not the first and surely not the last one having this kind of trouble! I have identified, based on my experience the main 5 pain points that kill the ROI of every Facebook Ads advertiser. Are you curious to know what are these 5 things that are killing your Facebook ads ROI? Let’s jump immediately on it! 1 - You are not targeting the right audience! It’s one of the most common mistakes that advertisers make. In fact, it happens very often that the Ads campaign is unsuccessful mainly because we are targeting the wrong audience. Let’s have a closer look at these features, and see how they can really help us to accomplish our goal: Target the right audience. Lookalike Audience is a feature, that let you built a new list of potential customers based on your previous customer audience list. Using this tool, Facebook analyzes the key targeting feature that we want to replicate on the new list and concludes the process by creation of a Lookalike Audience completely based on our request. The Lookalike Audience could be used with the help of another important Facebook tool: Conversion Pixel. Nowadays, Facebook lets advertisers generate a Lookalike Audience for a specific Conversion Pixel. The goal is to target users, similar to those who converted on your website. With Conversion Pixel there’s no need to receive a customer’s email address anymore. Through the use of this feature the way of targeting the users changes completely, becoming more dynamic and responsive to our needs. 2 - You are trying to convert cold traffic! Although Facebook counts 1.28 billion daily active users (source), it is very difficult to effectively use this potential audience in terms of completing a conversion. The potential of Facebook as a social media platform is enormous. However, at the same time if not used in the right way, it can easily become just a waste of money and time. As mentioned already, Facebook definitely a huge resource, but used in the wrong way, it just generates cold traffic with no conversion. More than 1.28 billion daily active users. The numbers only confirm the fact that there is a potential target audience, but that’s not sufficient to make any Facebook Ad successful. The main challenge in this matter is to get to understand the motivation of Facebook users to be on the social media platform and the way they use it. Someone can be using Facebook just to chat with friends, to look at some pictures or store photos, which makes it extremely difficult for us to convert such user into prospects or client. Here comes our work. 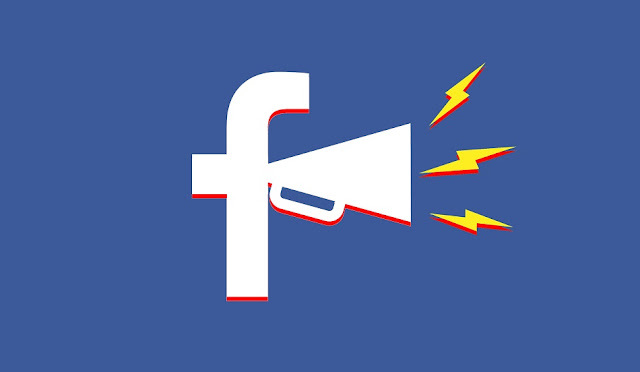 Being specific is the key of success in the Facebook marketing world. People sign up for Facebook, leave intentionally their personal data (demographic, ethnographic for example), and then by using the platform daily, populate their table of interests from music to movies, from climbing to gardening, from free time to job related topics. The question now is: why you should not use all this info to your advantage? Therefore, select your target at the best, be as much accurate as possible and this would be the first step to move from a status of cold audience to something warmer, as at this point you will be targeting a person that can respond to your call to action because is interested in your product. How to move this target to even warmer state ? The next step includes educating your target, in terms of making your target aware of your product. The key of success in this step will be to present the context around your product/service and get the potential customers know it. And this is the right moment to offer your audience some incentive, such as early discount, specific advantage or a possibility to try your product for free for a certain period of time. Sincerely, how many times have you seen and bought a product on the first sight? It’s very unlikely to happen, but still all the passages described above will improve the engagement with the Ads and increase conversion rate. This will be possible thanks to our “great friend” Facebook Pixel, that will help us to re target, and retarget again all the people, that until now have visited our landing page or blog and have already acquired information about our product or service previously, as exactly these people are now more ready to be converted in lead. How can your website influence our ROI on Social media platform? We often undervalue the way our target audience reaches us. The major part Facebook users for example, utilizes the social media platform on their mobile devices. 1.15 billion it’s the exact numbers of Facebook mobile daily active according to Zephoria. That’s why it is very important that our website is mobile friendly and not only that. As a matter of fact the loading speed is another essential key element to consider. Do you know 30% of site visitors expect a page to load in one second or less, while 18% expect a page to load instantaneously ? We should have every tool used for sharing info or selling to our audience, ready for a flash loading, in order to avoid any user frustration. - First one would be to have everything mobile & speed optimized, meaning that our landing page or website are both mobile and speed ready. For this purpose we use a free tool that Google offers us that can actually check our page optimization for mobile and desktop use. - Second solution, especially for those who don’t want to get mad with optimization of every aspect of our website or landing pages, is the use of Facebook Lead Ads. The Lead Ads feature was initially born with the aim to maximize the online conversion of the ads campaign on Facebook from mobile device. Previously, the conversion of the lead consisted of different steps, which at some point redirected the user from a social media environment to the landing page. There users had to interact with an additional call to action, in order to provide his personal details. Often the result of all these steps was a low conversion rate, because users are not willing to exchange the safe social media platform for the untrusted external environment. With Lead Ads all this conversion trouble disappears. When the user clicks on your ads, a new window pops up inside the social itself where the subscription fields are pre-populated with the user’s data. 5 - You are not sending a welcome mail to your leads! Sending a warm and efficient welcome mail is one of the key factors to keep in mind in order to avoid a lost of a lead. Sometimes this simple and old fashioned tool is underrated. The welcome email is an effective way to make a killer impression with your lead and at the same time is the first step to start building a relationship. 74.4% of consumers expect a welcome email when they subscribe. [source] and the average open rate for welcome emails is 50% — 86% more effective than email newsletters. [source]. These are relevant pieces of information that just stresses out even more the importance of sending a welcome mail at the moment the lead subscribes to our lists. Sometimes it is just a small particular step that we are missing in our puzzle in order to convert our leads successfully. There are different challenges that an advertiser needs to face when running a Facebook Ads campaign. In this article I provided you with suggestions, that should help you overcome the top 5 and I truly hope that it will help you to successfully avoid some of the principal mistakes. Still some doubts? Don’t hesitate to share your concerns and questions in the section below. Mark Cirillo is a growth hacker at LeadsBridge — a suite of automation tools for Facebook Advertisers. He is an eager digital marketer, nurtured by news and strategies of this world, he loves to help people and businesses to build and reinvent their online presence. Follow him on Facebook or Twitter.